The best bet is from Finsbury Park Station, leave the station by the back exit (Wells Terrace) where there's a bus station. You want the W7 towards Crouch End, which runs every ten minutes or so. It takes about eight minutes until you get to the shops of Crouch End Broadway. You'll see the King's Head in front of you, on the left. Your stop is outside Budgens just after the bus turns right at the bottom of the hill. 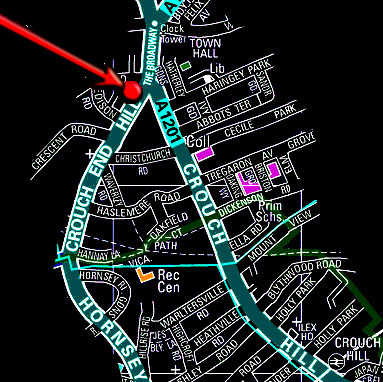 Or there’s Crouch Hill BR Overground (15 min walk up and down a hill) but make sure you check times of last trains. There’s ample free parking on street near the venue after 7pm.